Vlogging is no doubt one of the most trending and most appreciated things in the current century. If talking about its scope if you are passionate about it. You can achieve a lot of milestones and money from it. There are a lot of persons dominating in this field. 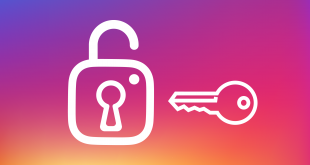 The main thing which I so far realized that if you are making it totally original without any specific Pre-defined story writing then you can earn a lot of true subscribers because anything you do uniquely would like by the users more rather than scripting. The trend is already all around the world and now also in Pakistan as well. There are a lot of males and also females who are doing so much crazy and unique stuff that you can’t dislike. 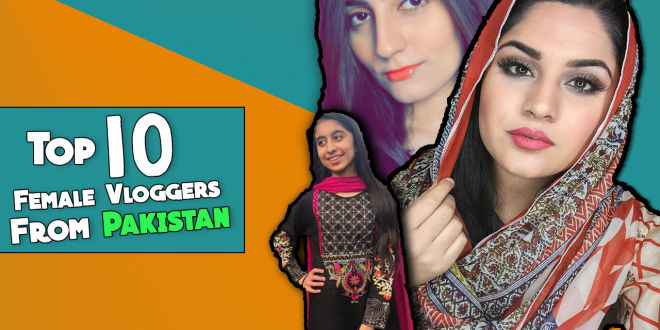 So, without any delay let’s see the details about top 10 female Vloggers of Pakistan. Note: The ranking we are giving on our article is based on the number of subscribers so it would be updated later according to the subscribers. Well the name might confuse but there is nothing to confuse about anything. 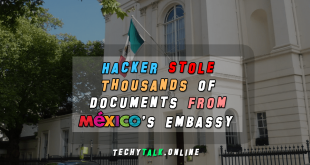 In the first, the female Muni Sanchez who is running this channel started making funny videos and Dubmash which really appreciated and liked by the visitors. But she had a passion to create fashion and beauty tips type videos so she later started those videos as well and earn a lot of subscribers. She was first living in America with her parents but she is now married and currently living in Pakistan. She still posts beauty type videos and vlogs of her married life which is still very appreciated by the visitors. One of the most amazing things about her that she speaks Pashto and English like a pro but little bit average if talking about the Urdu accent. Makeup89 is 1st in the list. 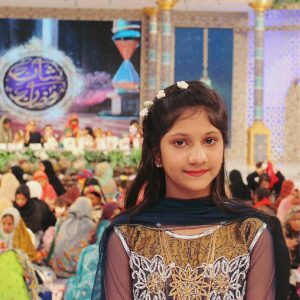 Fatima Irfan sheikh a talented YouTube basically from Karachi but living in Lahore, Pakistan. She did Fashion designing from beacon house national university Lahore. If talking about her channel so it is basically for the females as most of her vlogs are beauty and fashion related. The information and tips she learn or experienced her life are all share by her on the Youtube channel. Fatima Irfan Sheikh is 2nd in the list. She is basically from Karachi and studied in St. Joseph’s Convent School. 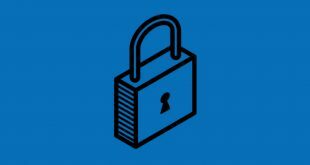 If we talk about the professional education so we could not find any information regarding that but as far as we know we will surely update it here. She makes videos on almost anything that inspire her a lot. 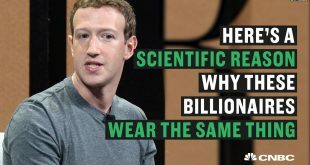 She also makes Fashion and make up videos to for the visitors. She also have a good sense of humor and intelligent personality. She is also running a website anushaesays and there she mostly posts about skin care and lifestyle. Anushae khan is 3rd in the list. 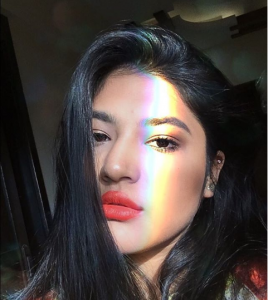 Khadeja started Youtube journey with her friend back in 2012 when she was in university. She used to make hair style videos on youtube channel but later due to studies the idea was flopped. She always loves youtube and wanted to start a proper and regular work so she started working regularly in 2017. She now has a lot of subscribers on her Youtube channel and most of them are females as she used to make beauty or fashion related vlogs. Khadeja is 4th in the list. Momina Munir a teenager from Karachi started her YouTube journey with makeup tutorials but later found the passion of Vlogging and started creating Vlogs. She is Basically from Karachi and a student of A levels in Nixor College. 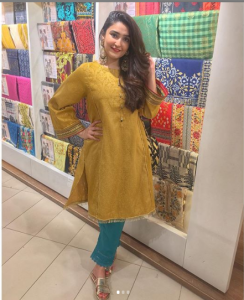 Well talking about her Vlogging career so the story telling and Vlogs style of Momina really appreciated by the visitors and she hold almost 40 thousand subscribers in just 4 months. 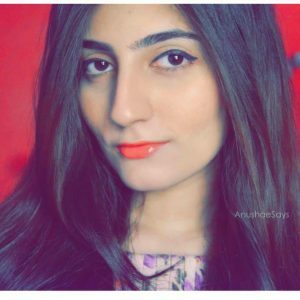 She is the only teen ager female vlogger from karachi having so much subscribers in youtube. 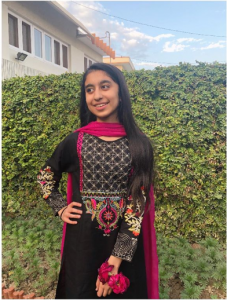 The most viral video she uploaded was about the school life in Pakistan. Momina Munir is 5th in the list. Anita Jalil Baloch is basically from Gwadar Balochistan. If talking about her education so she did her schooling from Agha khan school Gwadar and inter from Govt degree College Gwadar and Graduation from Universiy of Balochistan. 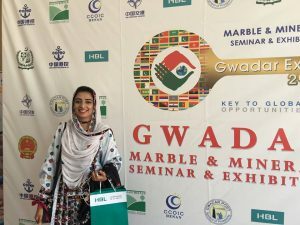 She is the only female popular Vlogger from Gwadar and as well as from Balochistan. She started the vlogs by portraying the daily life and positivity of Gwadar to all of the world which she later got a lot of appreciation for. She had faced a lot of hurdles in the start as Vlogging or appearing all around the world is not good in front of her dad but she never loosed hope and somehow managed to start Vlogging. The hard work and passion of Anita takes her to the point where she is known as one of the finest female Vloggers of Pakistan with so much die-hard fans. Anita Jalil Baloch is 6th in the list. She is basically from Karachi Pakistan. If talking about her education so she is a student of Mama Parsi Girls secondary school. Former Actor host in ARY Digital Network. If talking about the subscribers so she earned a lot of subscribers on YouTube by showing an impressive content. She is very confident and entertaining personality. 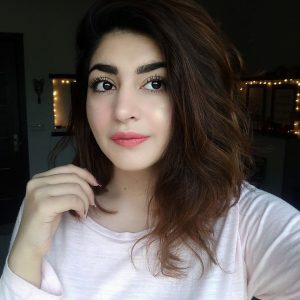 If talking about her favorite youtubers in Pakistan are Irfan Junejo and Taimoor a.k.a Mooroo and outside Pakistan are Logan Paul and Casey neistat. Laiba Hussain is 7th in the list. 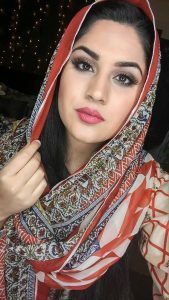 Mahrukh Sethi is an emerging Vlogger from Peshawar, Pakistan. She is a Matric student of Peshawar Model School and a very impressive personality. She always had the interest of starting a fashion related or make up related youtube channel but later she accidentally started Vlogging and she really enjoyed and continues to start vlogging. She is the only youngest famous female vlogger from Peshawar. Mahrukh Sethi is 8th in the list. 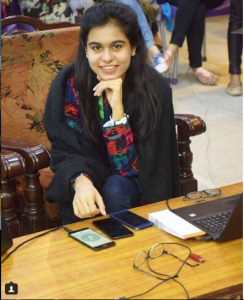 Neha Ejaz is from Karachi Pakistan and a student of computer science in NED University Karachi. She is still an emerging female vlogger of Pakistan and also have the potential to achieve biggest milestone in her vlogging career. The quality and storytelling of her vlogs are so amazing and impressive. Starting a vlog channel was the passion of her since the start of this trend so there is nothing accidently came to her mind for starting vlogs. Irfan Junejo and Dietschy are the vlogging inspiration of her. Neha Ejaz is 9th in the list. 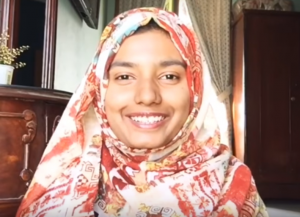 Saleha Adnan is basically a teenager girl from Faislabad, Pakistan and a student of Fsc Pre-medical. The quality and entertainment of her vlogs are so awesome and admirable among the visitors. She is an emerging vlogger and there is much more success she will achieve as the quality is getting better and better day by day. If talking about her vlogging inspiration so there are three names Ava Jules, Haley pham and Mostly Sane. Saleha Vlogs is 10th in the list.